Neasa de Baróid B.A. Psych/Soc. Advanced EFT therapist – AAMET & Gary Craig Certification. Physical and Emotional pain, Exam/Performance enhancement, Traumas, Phobias, Fears, Depression, Self-confidence, Bereavement, Addictions, Asthma and Blood pressure. Feeling stuck? Sabotaging yourself? EFT will help you bring back the joy in life! Are you seeking freedom from your past? EFT will help you in doing just that! Stop living your parents relationship problems and take positive control of your own relationship. Do you suffer from stage fright? EFT will help you express your greatest potential! My guarantee to you, the client: I’m Neasa. Using Emotional Freedom Techniques in my Cork practise, great care and sensitivity is taken to ensure that your physical & emotional issues are gently dealt with in a safe environment. EFT tapping Cork is highly effective when you feel ‘stuck’, guiding you back to greater health, happiness, relationships and success. Being a professional singer, performance anxiety, stage fright, exam panic, are areas I have previously experienced and understand personally. More recent work is in conjunction with Ivor Browne, retired Professor of Psychiatry, unveiling underlying causes in clients labelled as clinical depression and bi-polar disorder. See Reviews for other illnesses. Why come to me: My specialty is accessing core issues fast, often in the first treatment, then working forward from this point to heal the past. ‘Core issue’ refers to the basic cause underlying a condition. Having guided myself in my own healing, I developed deep intuitive understanding of the patterns that keep people stuck; the cause and solution to your symptoms. I’ve also studied NLP, Bio-Energy, Regression therapy, Meditation, Visualisation and, where helpful, I utilise these tools in treatments to enhance positive lasting effect. Tapping often works where nothing else will. It reveals buried emotions that hold people back. My promise to you is to do all I can to help you arrive at your Greatest Potential. If you are ready to take the journey within to live fully, I’ll be delighted to hear from you now and support you on that journey. Having difficulty deciding on the next step? Feel free to contact me for advice on +353 (0)87 2535287 or go to my contact page. May 2015 – Daniel O’ Sullivan: “I’d like you to know you have been the best, most helpful and most genuinely caring therapist I’ve ever gone to. I’ve attended 6 different clinical psychologists, all of whom, even the better ones, came nowhere near helping me through my emotional stuff to the extent that you did Neasa. Nor were they anywhere near as caring, or available. Thank you”. January 2017 – Éimer Godsil – “What an amazing week I am having! Realisation after realisation, a level of happiness, sustained, that I have never experienced before. A glimpse of the person I can be. Anyone suffering from diagnosed psychiatric disorders, taking psychoactive medication or undergoing treatment with a counsellor, psychologist, psychiatrist, outpatient department should ALWAYS consult with their care providers before starting any new form of treatment. 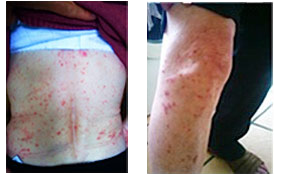 Full body Psoriasis – Click here for more information about Other Illnesses healed by EFT Treatment. EFT is easy to apply and is non-invasive. “The cause of all negative emotions is a disruption in the body’s energy system” – Gary Craig, EFT Founder. It no longer takes years to clear out the garbage of the past. With EFT, we re-programme negative messages, that otherwise hold us back from our greatest potential for happiness, health, and success. Call me if you need any help on +353 (0)87 253 5287 or order online now below! 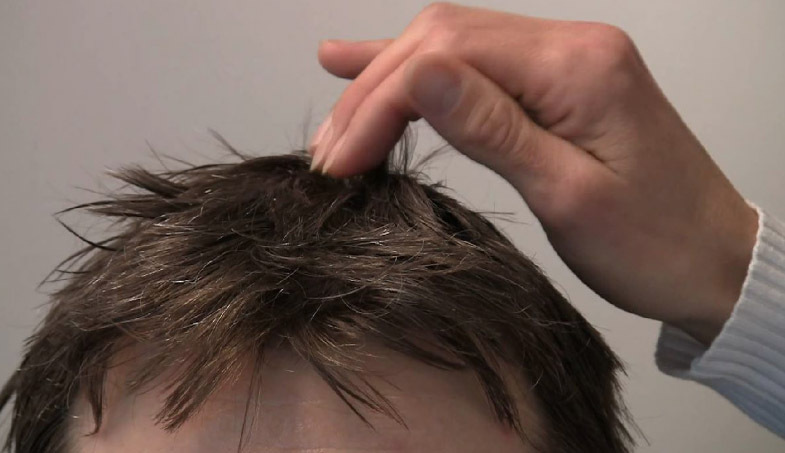 - EFT Founder Gary Craig on the benefits of EFT Tapping. - An EFT treatment session in progress. Read more about our Treatments here. * I will connect with you via Skype after we have arranged an online private treatment session. Copyright © 2019 EFT Cork. All Rights Reserved. Design by Joe Winfield.